Apple is facing a lawsuit from Omni MedSci, a company that says Apple is infringing on its patented technology with the Apple Watch's heart rate sensor, reports Axios. Omni MedSci claims to have met with Apple from 2014 until 2016, but Apple ultimately ended discussions for a partnership and then reportedly used Omni MedSci's patented technology. Omni MedSci filed a lawsuit in the Eastern district of Texas today, claiming that Apple willfully infringed on its patents and asking for an injunction against Apple along with damages. 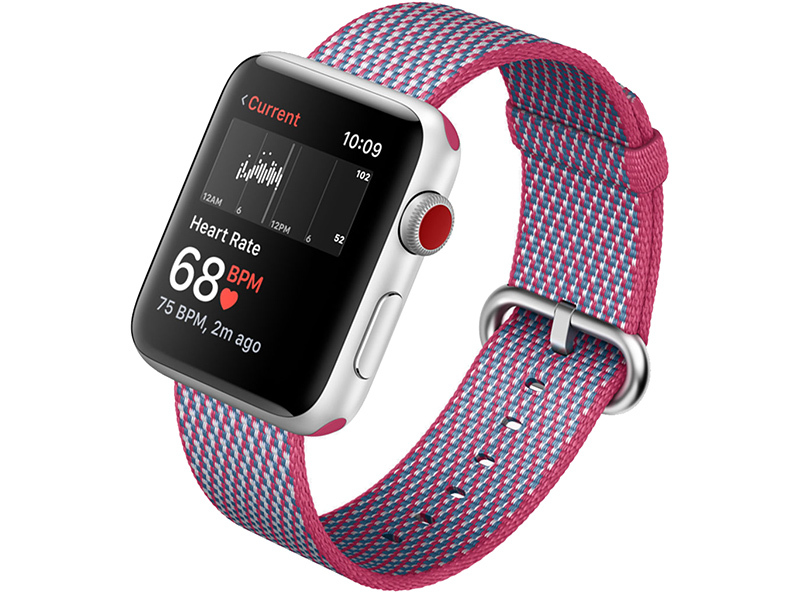 Apple first introduced the Apple Watch in 2015, and since its debut, the Apple Watch has featured a built-in heart rate sensor. Heart rate sensing is a key feature of the wrist-worn device, and recent studies have suggested it can be used to detect a wealth of health problems, like atrial fibrillation, early signs of diabetes, hypertension, and more. Omni MedSci, the company suing Apple, is owned by Mohammed Islam, who in 2015 was described by a Detroit news site as a "poster child for a patenting professional." He owns six companies and has collected more than 150 patents. "There's getting a patent and there's getting a patent that will withstand litigation," he told the site. "It's an art form." Islam has expertise in optical and laster technology and appears to hold several related patents. His patent holding company, Cheetah Omni, has levied lawsuits against companies that include Fujitsu, Alcatel-Lucent, Huawei, Nokia, and Siemens. In 2015, Islam said that Omni MedSci was working on a wearable glucose monitor that uses lasers to monitor blood sugar levels. At the time, he said that he had met with Apple about the product. Eastern District of Texas. It tells you all that you needed to hear. sounds like a patent troll to me. If they don’t have any actual product they’re a patent troll. Nuff said. They should ONLY grant patents to those with working prototypes. Just because a company has the gall to sue Apple doesn't make them a patent troll. That his Michigan-based business choose to sue a California-based business in an East Texas district known for siding with patent holders of dubious repute doesn’t speak well of his case. In fairness Apple has filed a boat load of patents for products that haven’t been released. Eastern District of Texas == Patent Troll. Sigh. I would ask if it is normal for a patient lawsuit to appear three years after the theoretical infringing product is put on the market. I would grant this more of an eyebrow rise if it happened in the first quarter of the watch hitting the market. SO yea this sounds like a potent troll. * The patent lasts for a certain amount of time, I know it used to be longer, but I would say 3 years would be reasonable, but some may disagree. This allows you to recapture your R&D costs and make a reasonable amount of profit. * After that people may not copy your idea exactly, but they may use it as a base for other products or as a part of another product without paying any royalties. They then can file for a patent on their product and the cycle starts over. This is what the original patent concept was and it was designed this way to encourage innovation while at the same time making sure that the companies that invented stuff were able to make a profit. If we adhered strictly to this concept, I think we would see a lot more innovation and a lot fewer lawsuits. Let's stop making lawyers rich and start actually coming up with new ideas again. Maybe he has a case, maybe not, but why wait so long to file a lawsuit? Is it to ensure the product is successful, so there is more potential reward money? Omni MedSci is commercializing technologies related to healthcare and medicine, and in 2015 it received the “Eureka Award” as being the #1 most Innovative Company in Michigan.